In rural Shaftsbury, Vermont, cars from New York, Pennsylvania and Vermont are lined up outside an 1842 sheep barn for their afternoon chocolate fix. There is no clever, creative way to describe the exterior of the barn. 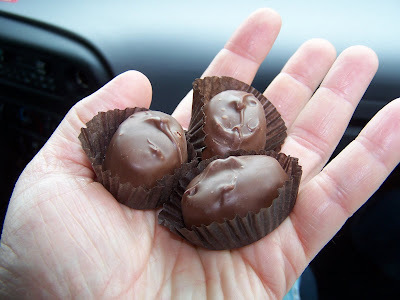 It is painted a rich chocolate-brown, it is called “The Chocolate Barn,” and inside the barn you will find row-after-row of exquisite hand-dipped chocolates. We climb the steps past an antique sleigh and enter. 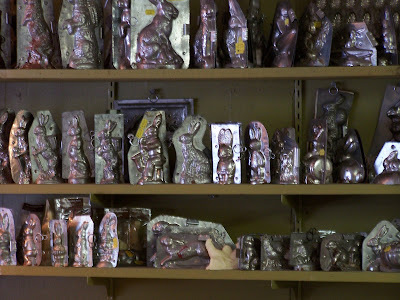 The Chocolate Barn was opened in 1976 by Lucinda Gregory, a collector of antique tin chocolate molds. The collection now numbers more than 800 pieces from Holland, Belgium, German and France. The chocolate kitchen is to the left as we enter. Two young women work the window and behind them is a battalion of pewter-colored molds – Easter Rabbits, Father Christmases, Storks, Jack-O-Lanterns and Thanksgiving Turkeys are neatly lined along three long, narrow shelves. The effect is as though whimsical characters from Peter Rabbit, The Night Before Christmas and Dr. Doolittle have cued up for a military inspection. The Chocolate Barn produces more than 65 varieties of chocolates as well as a celebrated recipe for fudge. We take some time to inspect the selection of chocolates, and the stock of rare chocolate molds, some of which cost upwards of 100 dollars. Some are flat molds used for crafting chocolate candies on a stick. Others open on a hinge and clamp together to create a three-dimensional chocolate original. The section of hand-dipped chocolates and truffles would make Willy Wonka wilt. They are displayed behind glass, and – like the proverbial kid in a candy shop – we run our eyes along the line of perfect, pillow-shaped candies each topped with a squiggly chocolate swirl. There are Strawberry and Vanilla Creams, Coconut Bon Bons, Raspberry Jellies, Cordial Cherries, Peanut Butter Meltaways and Nougatines. In honor of Vermont’s state tree, we indulge in a handful of Maple Cream Chocolates that are delectably smooth with just a hint of buttery mountain sweetness. Back in the car, I inspect my crisp white bag of treats and take note of the canary-yellow form tucked into the sack. There’s no website – just a charmingly old-fashioned mail-order approach to satisfying a sweet tooth. 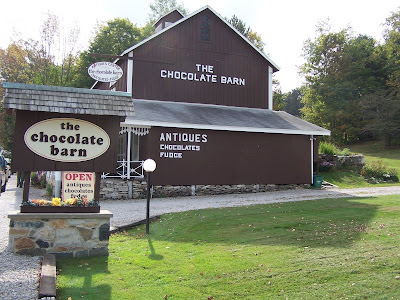 The Chocolate Barn is at 5055 Historic Route 7A, Shaftsbury, Vermont, 05262. Phone – 802-375-6928. What a nice collection of chocolate molds. Thanks for taking us along on your visit to Vermont. Can we look forward to a maple syrup visit in the springtime? The selection of molds are amazing. Just heavenly to walk into such a place containing my favorite food. I have never seen so many fanciful chocolate molds before! What a delightful way to spend an afternoon. The barn reminds me of quaint scenic 6A in Cape Cod. I love those types of towns and am feeling quite nostalgic for a ride through one of them right about now. Thanks for an enjoyable post, T.W. I visited The Chocolate Barn years ago, and it's so nice to go back and see it through your eyes. 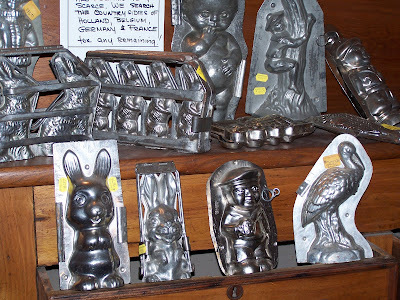 The antique molds are so beautiful, and the chocolate, as I recall, was pretty amazing, too. 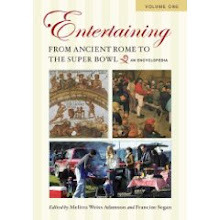 Hi Jann - This was such a interesting find. I needed to restrain myself from wanting to purchase some of those molds! I've actually never made chocolate, but it might be in my future now! Kathy - There's a maple syrup story coming up, but springtime is really the prime time to see the process in action. Veron - I was thinking of negotiating a long term sub-lease so I could be close to all that chocolate! Thanks, Susan - I've not spent much time in Cape Cod - I'll have to check that out, because I love these kinds of trips. Lydia - I thought of you when I was there, since Shaftsbury was originally settled by folks from Rhode Island.